Authorities in Indonesia have rerouted all flights around the erupting Anak Krakatoa volcano, days after it is believed to have triggered a devastating tsunami that killed hundreds of people and causing widespread destruction. The move on Thursday by Indonesia’s air-traffic control agency AirNav came as the volcanic island located in the Sunda Strait between the islands of Java and Sumatra continued spewing columns of ash into the air. “All flights are rerouted due to Krakatoa volcano ash on red alert,” AirNav said in a statement. Authorities also raised the volcano’s alert level to the second-highest – ‘stand-by” – and widened an exclusion zone around it to 5km. A crater collapse on Anak Krakatoa at high tide on Saturday night is thought to have sent waves smashing into the Indonesian shoreline, engulfing fishing villages and popular resorts along the coasts of western Java and south Sumatra. The confirmed death toll is 430 people, with at least 159 others missing. Almost 1,500 people have been injured and thousands more have been displaced. Anak Krakatoa is an island that emerged in the 1920s the crater left by Krakatoa, whose massive eruption in 1883 was one of the most catastrophic in recorded history, killing at least 36,000 people. Along the coast, thousands of people are staying in tents and temporary shelters like mosques or schools, with dozens sleeping on the floor or in crowded public facilities. Rice and instant noodles have been delivered to many shelters, but clean water, wet weather gear, fresh clothes and blankets are in short supply, some evacuees said. A state of emergency has been declared until January 4, which authorities hope will make it easier to deploy assistance, according to Sutopo Purwo Nugroho, spokesperson for the national disaster mitigation agency. 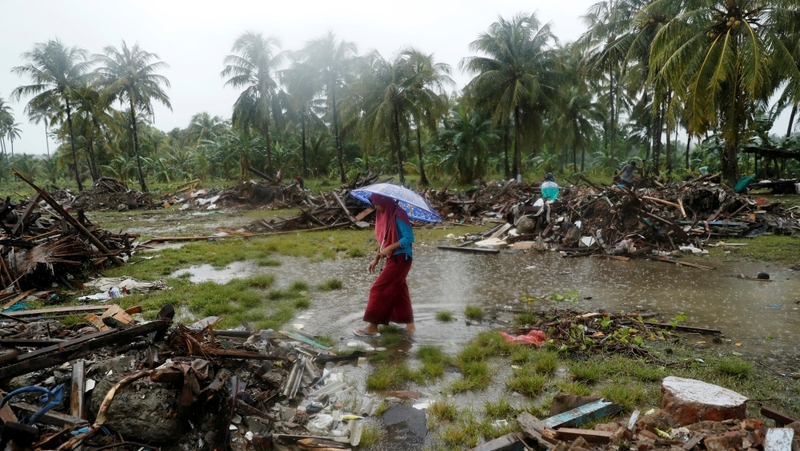 Torrential rain has complicated recovery and aid efforts, muddying roads and holding up convoys delivering heavy machinery and food to remote areas. With Anak Krakatoa still rumbling amid high-tide warnings, many survivors who have been evacuated to higher ground are too afraid to return home, saying they are worried that another tsunami will strike. 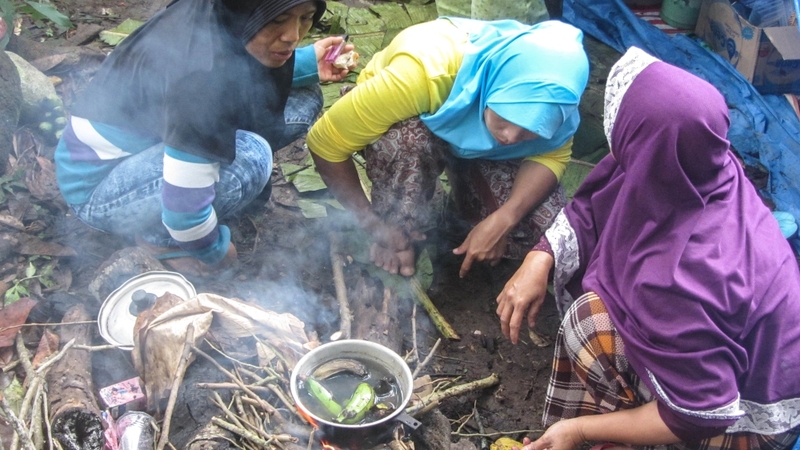 “The lightning around the volcano is getting worse,” said Maskah, a 39-year-old woman who has found shelter along with other residents of Sukaraja village in a makeshift camp in Kebun Damos, a partial clearing on Sumatra’s Rajabasa Mountain. “It’s cold and windy here in the jungle, but we don’t want to go home,” she told Al Jazeera on Wednesday. Indonesia’s Meteorology, Geophysics and Climatology Agency has asked people to avoid coastal areas as stormy weather and high surf continue to plague the area. “All these conditions could potentially cause landslides at the cliffs of the crater into the sea, and we fear that that could trigger a tsunami,” Dwikorita Karnawati, the agency’s head, said late on Tuesday. Indonesia, a vast archipelago of more than 17,000 islands with a population of some 260 million people, sits on the geologically active “Ring of Fire” and is frequently hit by earthquakes and tsunamis. Saturday’s tsunami was Indonesia’s third major natural disaster in just a few months. In July and August, major earthquakes on Lombok island killed hundreds of people, while in September a devastating earthquake-tsunami claimed more than 2,000 lives in Palu on Sulawesi island.